A Dollop of That! : Red Velvet Trifles ~ Valentines Day Colab with Potpourri & Odiya Rasoi! 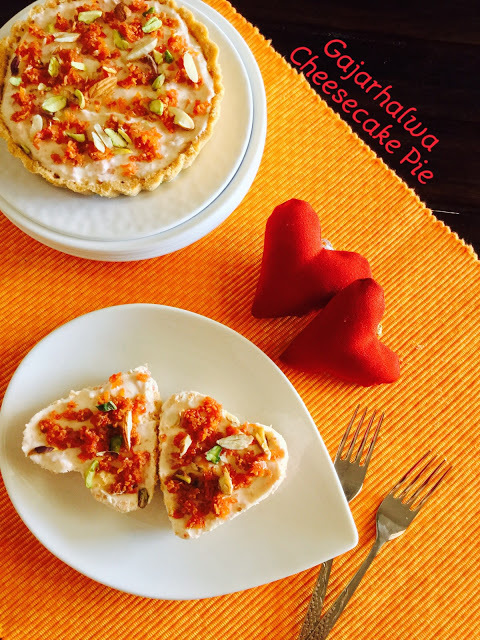 Red Velvet Trifles ~ Valentines Day Colab with Potpourri & Odiya Rasoi! Ah! is it February already? Spring is certainly springing up upon us, at least here in Pune it is!, the trees are blushing in warm hues of gold & crimson and sprouting plump red flowers, tiny hummingbirds are making their annual appearance, sucking sweet nectar from the Jambun trees in our neighbourhood, streets are lined with tons of tiny yellow leaves, and the weather is Oh so beautiful! But some days do make their way back into your life, I know V day did, when it presented me with lifes most precious gift.....Three years ago on that very loving day was born a boy with a very loving heart...my son, no guesses here then, that its my favourite day of the year! As blogosphere gears up for Valentines and hearts and roses sprout by the second, I couldn't help but make my little family some delectable quintessentially 'Red' Velvet Trifle(s) to savour on a boring work day, it was eagerly lapped up by both gents with equal gusto! This is also the first time that I made Red Velvet Cake from scratch and it paired beautifully with the cool custard and tart macerated strawberries, using the hue of the season I added some delicious pearls of seasonal pomegranate seeds, which added a welcome crunch to the smooth and cool dominant textures of this Trifle. 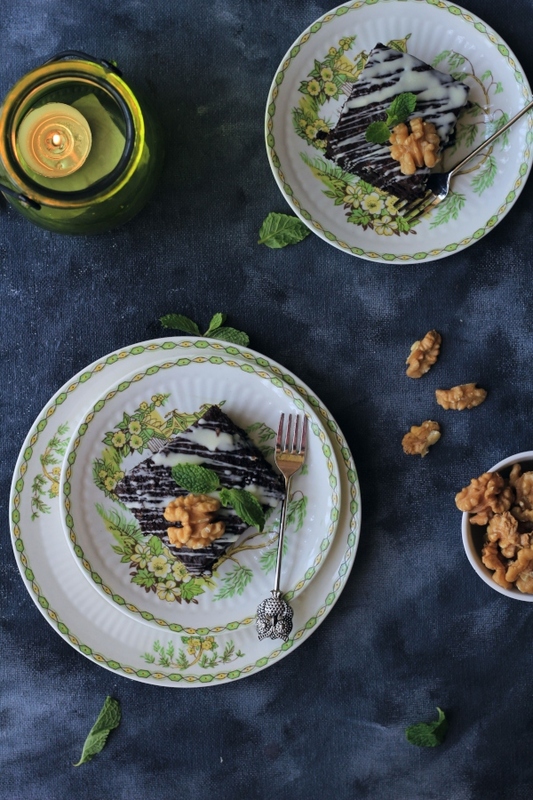 Besides being perfect for Valentines, this dessert is great to have in your kitty in case you are having a number of guests over for a party, as it tastes best when cooled overnight, since all the flavours and textures get a chance to marry and generally get to know each other well. Start by finely chopping up the fruits you will be using, transfer them into a bowl, sprinkle with 1 tbsp of sugar and keep aside. -Combine 2 tbsps milk with 1/2 tbsp cornstarch to make a paste. -As steam begins to escape add in the milk and cornstarch mixture. -Once the mixture reaches a custard like consistency turn off the heat, add in vanilla essence and allow to cool to room temperature. -Wrap with cling film in order to prevent it from forming a skin. -In a bowl combine milk, vinegar, sugar, oil and the egg, whisk well until the sugar dissolves and keep aside. -Once the sugar has dissolved add in all the dry ingredients along with vanilla essence and red liquid food colouring. -Once the cake has cooled completely, cut out hearts or circles that are slightly smaller than your serving glasses and keep aside. Begin by lining the base of each glass with a cut out piece of cake, top with the syrup from the macerated fruits, now add a layer of custard followed by a layer of fruits, repeat the process till you reach the top of your glasses. Now garnish with chopped nuts. In mood for some more yum? Happy birthday to the valentine baby!! Thanks Lily, yup I've still got that recipe book, I remember the mess we made with the swiss roll! 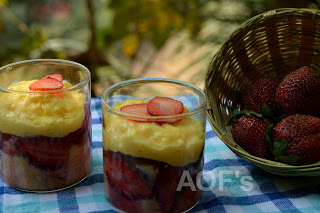 Sorry for the late comment...hv been reall busy ..lot of social commitments..thouvh read ur post thw very first day.First of all i should let u know tht u write very well.As for the trifle...the lovely colours of tje pudding is so eyecatching,I am sure no one can resist it. Thank you for your kind words and encouragement😊 Basu.